The Library Voice: Three Ways To Bring Buncee To Your Makerspace! 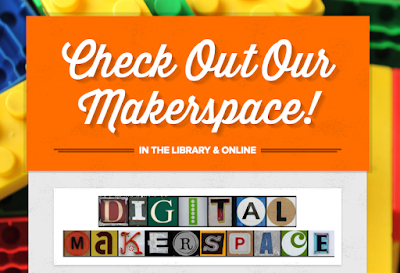 Our library Makerspace had something for everyone. This was one of the best parts behind the space and philosophy. I wanted there to be a huge variety of materials and ideas for every single imagination and passion within our school. There were LEGO's, robots, 3D printing, knitting supplies, coloring, Sphero's, LittleBits, beads bracelets, fashion design, duct tape and loads of books to inspire and foster creative ideas. We even had a Digital Makerspace which was a place for all kinds of things including eBooks for ideas, databases for research, and lots of apps and digital tools for making too! In our Digital Makerspace we had a Symbaloo that held all of these resources. And one tile they just loved going to was Buncee! As the site says, Buncee is a creation and presentation tool for students and educators to create interactive classroom content, allowing learners of all ages to visualize concepts and communicate creatively. And it is perfect to use for so many reasons with our Makerspaces and creative spaces too. Students can create amazing things with Buncee....interactive posters, greeting cards, digital stories, art portfolios, diaries of their creative Makerspace journey, scrapbooks, knitting journals and so much more! The sky is the limit on what can be created with Buncee. And the Buncee app is just as fun and makes your digital Makerspace mobile too! 2. Use Buncee to create Maker Buncee's. You can use Buncee to create step-by-step instructions on how to create things. You can even include photographs or videos within your Maker Buncee's too. My Buncee friend Meagan created these amazing Maker Buncee's and just look at what kids can create by reading and interacting with them. 3. You can use Buncee to create invitations for Makerspace activities, signage and special announcements to get more and more of your students excited and engaged. 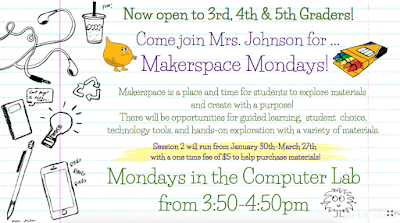 I love the Buncee that @MrsJohnsonzps made for their Makerspace club. Thank you for sharing this @AllysonApsey. 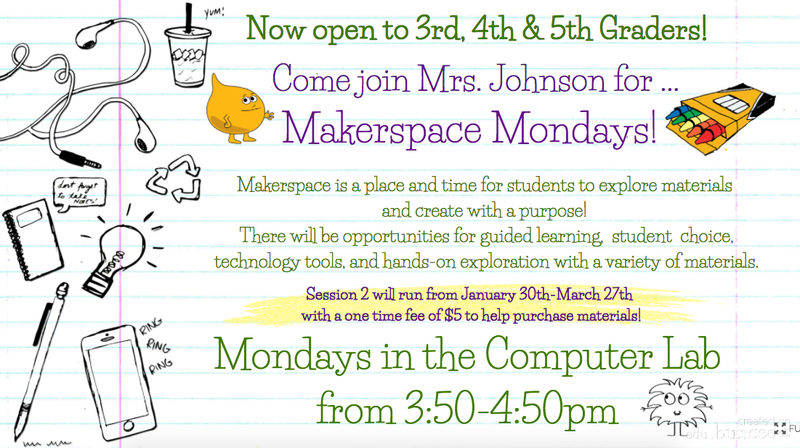 You can check our this Makerspace Invitation Buncee here. 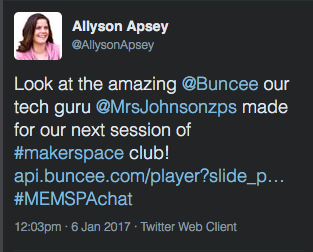 As you can see, Buncee brings your Makerspace to life! And brings a little bit of digital creativity, inspiration and fun to your makers too. Is there a free way for students to use without needing an email or giving their birthday? Hi there...Thank you for your question. Yes, there is a free way for students to use Buncee without needing an email or giving their birthday. Buncee is COPPA compliant; they take student privacy very seriously. When a teacher signs up for a PLUS account, student accounts are created by, and underneath the umbrella of, the teacher, and therefore do not require a student's email and birth date. All permissions are under the control of the teacher, allowing the class to operate in its own private bubble. If a student signs up on their own for a free account, email address and birth date are requested, but younger students under the age of 13 will get a pop-up requesting their parent's or guardian's email. The parent or guardian will then receive the COPPA notice, along with a form to fill out and send to Buncee. Upon receipt and authentication, Buncee will send the parent or guardian the link to activate their child's account. Wow! Such a great list and what a SURPRISE to see my own buncee here on too! I have been following you for a while and saw you speak in Grand Rapids last spring at MACUL! So fun to finally be jumping on the Buncee train that I originally learned about from you! Thank you for continuing to share and inspire!